Fiat has again been rated as the lowest CO2 manufacturer, with average emissions of 118.2 g/km across Europe according to JATO, a research company. Of more direct relevance to the UK, the environmental website Clean Green Cars has done the same calculation for the UK, and come up with a Fiat figure of 116.3 g/km of CO2. The reason for the lower figure in the UK is that Fiat sells hardly any cars bigger than a Punto over here. Fiat is followed by Citroen in the UK, with a figure of 121.5 g/km of CO2. 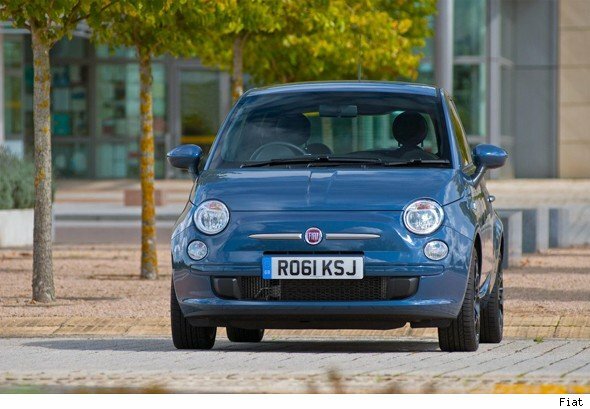 Fiat's figure is so low partly because it has the largest proportion of small cars of any European manufacturer. That is good news for the environment, if not Fiat profits (it lost around 500 million euros in Europe last year). The other reason is the Fiat TwinAir petrol engine, which has CO2 outputs of well under 100 g/km. The TwinAir gives spectacular results in the EU test cycle, but needs very careful driving if it is to repeat those results on the road. Its urgent, willing nature means it is easy to rev it past 5,000rpm all the time and see fuel consumption dwindle to below 40mpg.